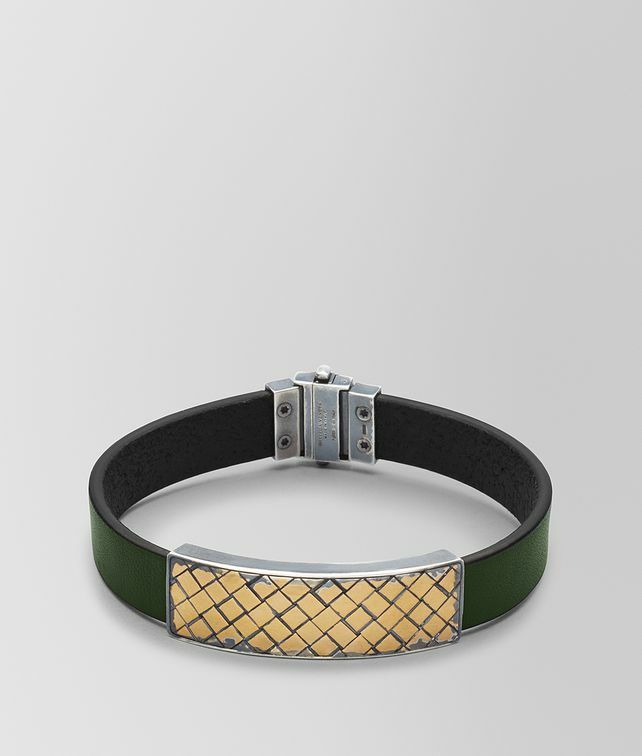 This timeless bracelet is a rich mix of supple nappa leather and sterling silver. The recognisable design is finished with a hand-applied 24-karat gold patina and engraved with the iconic intrecciato motif. Its push-button fastening ensures easy wear.